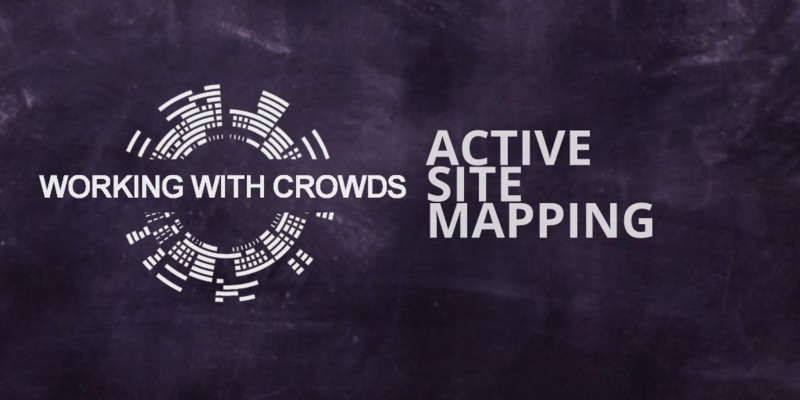 Developed in partnership with Crowded Space Drones, this unique service provides the latest in site mapping and crowd modelling developments. Working from your control room an accurate crowd model will be created during the course of your event. 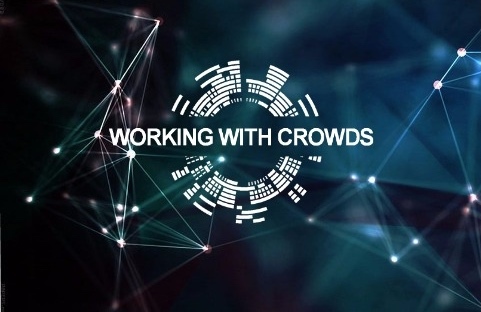 This can be validated through CCTV and Drone images of your crowd. 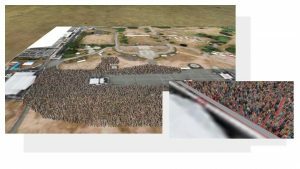 Working With Crowds can review the modelling of your site in the planning stages of your event, providing images and reports of predicted crowd movement, density and points of risk. 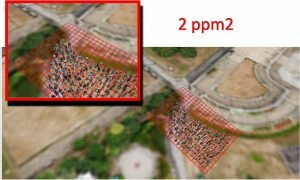 Through mapping of the event site by Crowded Space Drones, an accurate site map can be captured in the days running up to your event. 24hrs before the event doors open, the drone team mapped the event space, picking up and the site infrastructure and layout. Through pre planning and discussion on the event space, an understanding of use of space can speed up the modelling of the event space. 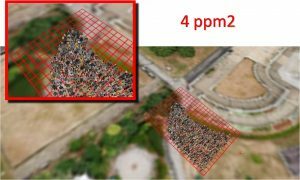 Through our use of software and accurate mapping from the drone team, Working With Crowds will provide images of the site an; detailing density in key areas across the site. This can be used to compare to live feeds from CCTV and the drone team. As well as over all site imaging, more detailed images can be captured for key areas to allow for early intervention and management of the area. In the case shown above, a 1meter square grid was imposed on the site map to gain an understanding of how variations of crowd density looks mapped onto the captured site. In the images above we set the height and viewing position to the drones position for egress. 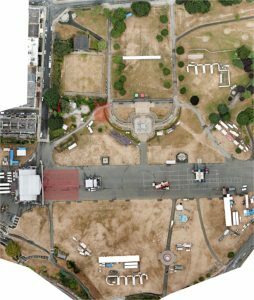 Through the provision of Drone mapping, Working With Crowds will create comparison images ahead of event to compare on the day. This will detail key areas of the event space, such as ingress routes, entrance lanes or turnstiles, performance viewing areas, bars, exit routes and egress passageways. Taking into consideration movement, crowd density and risk indicators. Through the day, images can be generated with assessments of capacity and density to views from CCTV and Drone footage. As well as on site supply, the created images and assessments assist in forming the building block for future events.